Whoever is concerned about space saving especially in smaller homes, raise your hand! Because we sure would raise our feet for this. Truth be told, designing spaces which are small is a challenge, well, even the large spaces too. 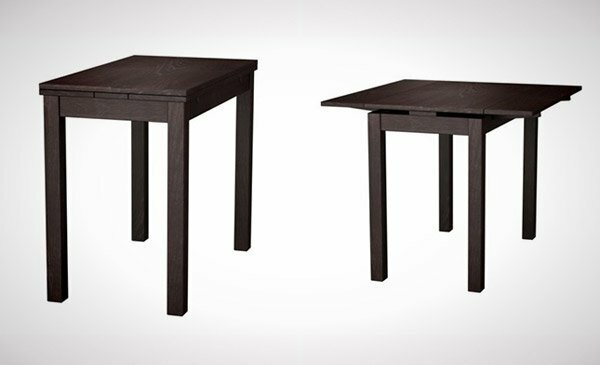 But say you are renting a place for a while but want to make use of the majority of the space that you have, wouldn’t you consider using any of the 15 Incredible Drop Leaf Folding Tables? According to designers we know, in today’s day and age, we can see a lot of space-saving hacks we can use at home – may it be in the bedroom, the living room and most especially in the kitchen-dining areas because we need much space in it than what we think. Below is a list of awesome table designs that will help us in organization and space-saving, take a look. According to one blogger, Adams is great for small spaces. Right on! 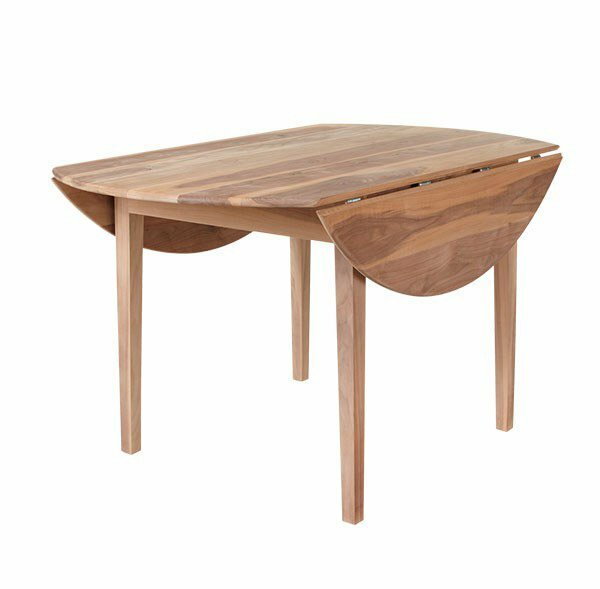 An ideal kitchen table with a tough American Walnut top, it has two leaves so you can have it half or fully open or completely closed when you need space. You know that when you want to find something for the house, you can always check IKEA for that. 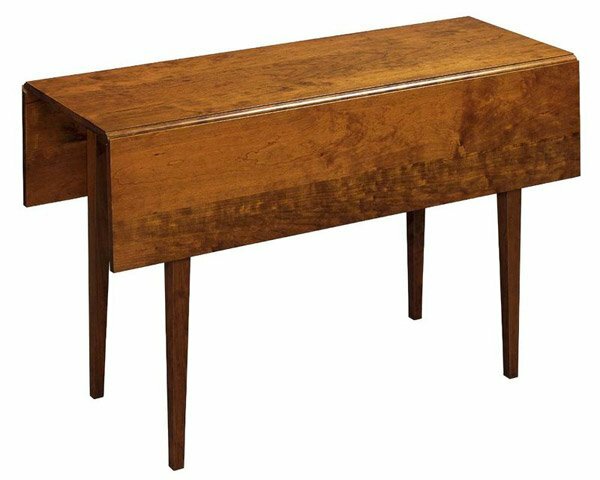 This drop leaf table is one gorgeous find! Another great find from IKEA. 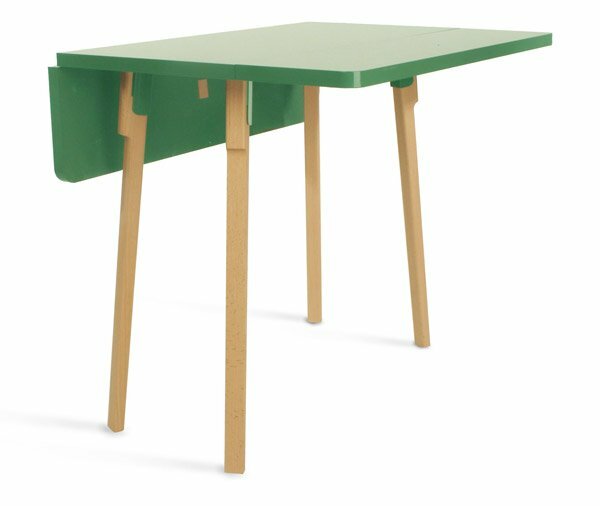 This table can be a side table to a study table for the kids in seconds! Superb vintage chrome drop-leaf table. Lush organic laminate surface. Great lines through the chrome legs, in the style of Milo Baughman or Karl Springer. The leaves easily snap into place and are level and sturdy. 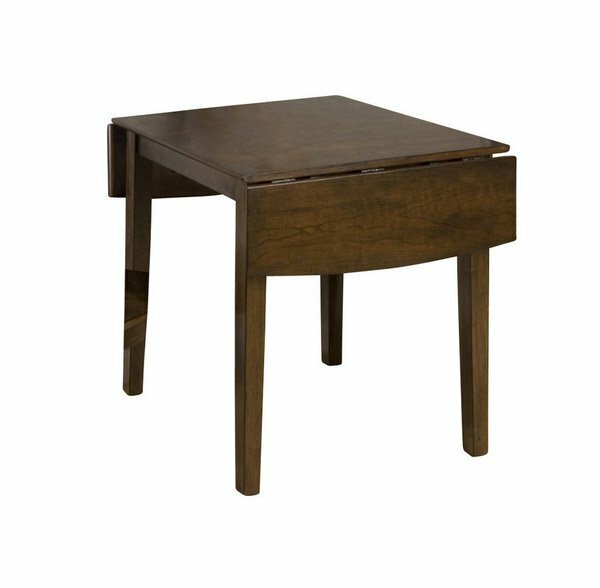 Click on the link above and you will be able to check all the other drop leaf table designs from Elle Decor. 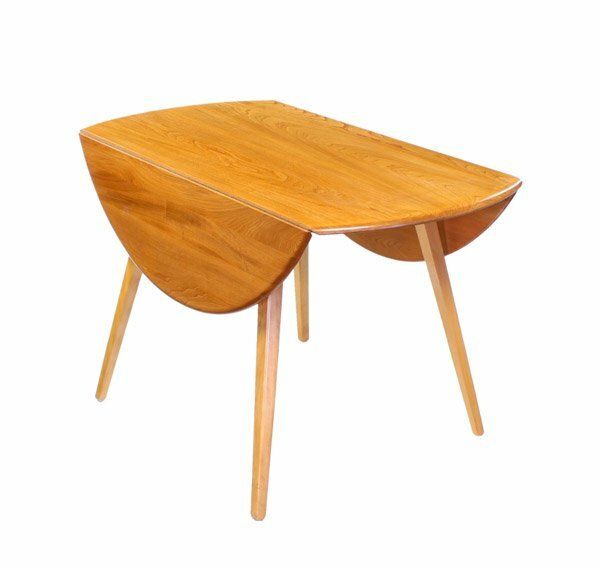 Abbey Antiques has this cool list of furniture you can check out like this Ercol table. It’s simple, pretty and artsy. Here is a round drop leaf table just like the one above this, except this is in Light Oak. 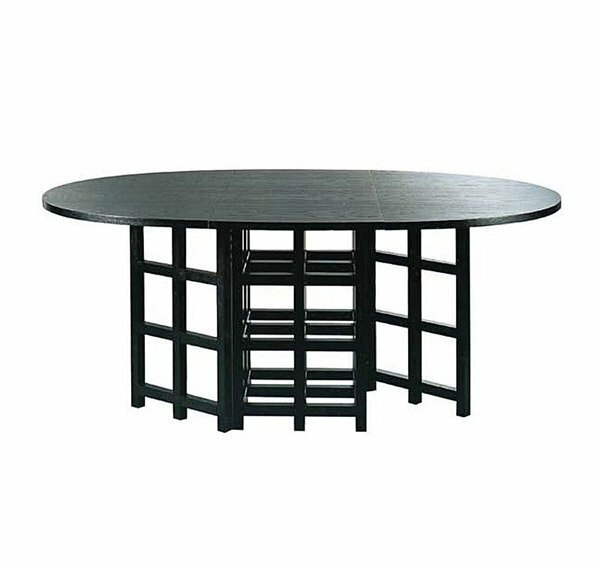 This table is not only space-saving in the kitchen or the dining area, but also great for outdoor use. 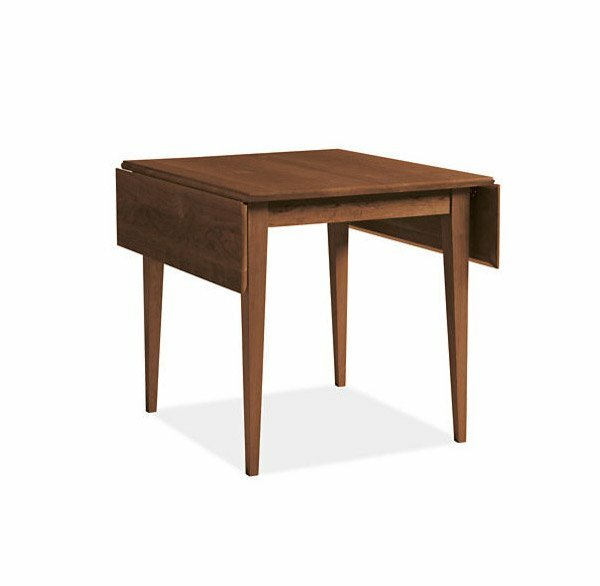 Here is one example of a rectangular drop leaf table fit for families of more than four members. This design is classic, traditional and all at the same time vintage. James Churchill is actually showing us what he did in assembling this awesome drop leaf table. It’s sleek, it’s green – no pun intended, and pretty modern. The classic formulas of color combinations are not valid in Jofran Furniture territory: here is ruled by laws solely of your own preferences and fantasies. 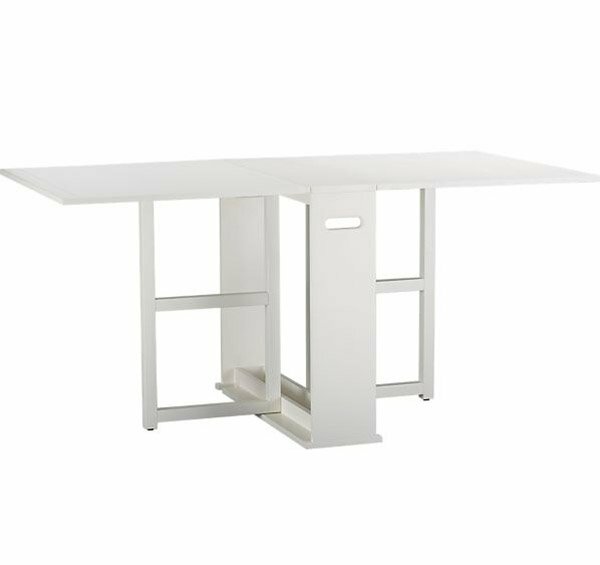 Superb for small spaces, IKEA’s drop-leaf table provides a great work surface for one or an intimate dining area for two. 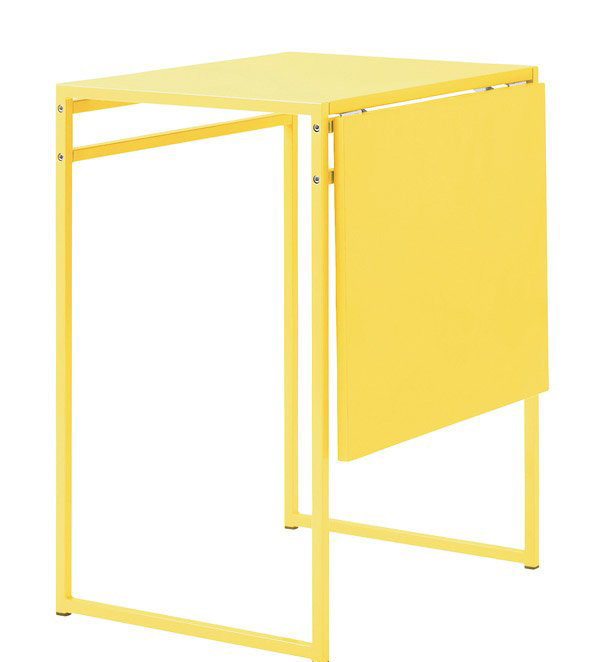 Made from powder-coated particleboard set on a steel frame, this popular table now comes in a splashy yellow. This table seats four when extended and moonlights as an attractive console when closed. 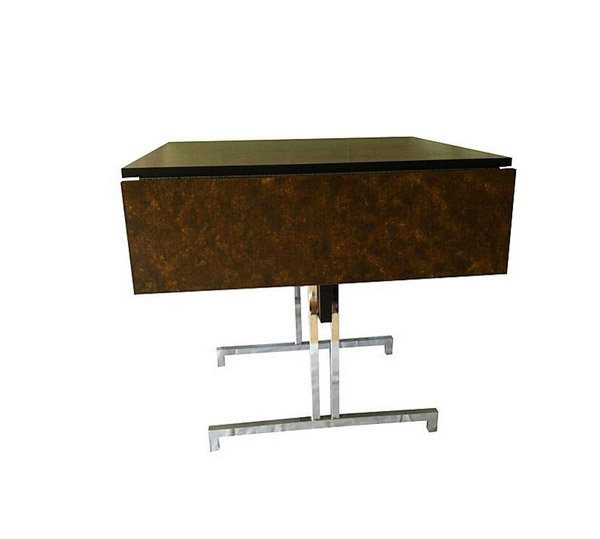 The construction is wood with an oak veneer tabletop and dark espresso stain. An ideal kitchen table with a tough melamine top, it has two leaves so you can have it half or fully open or completely closed when you need space. 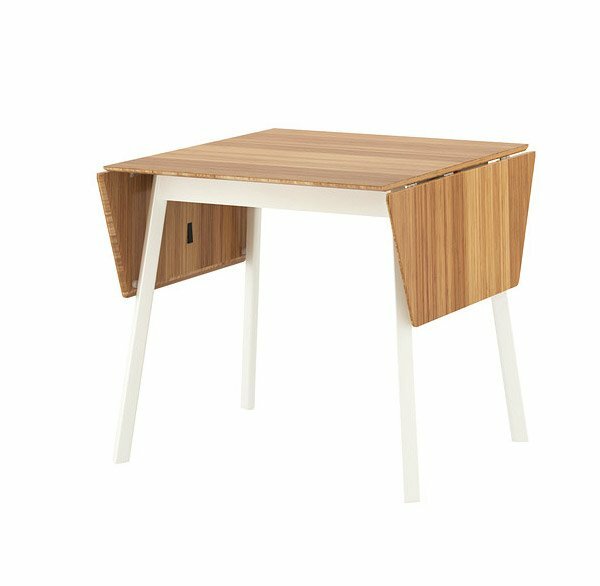 This table is cannot only be a dining table, a study table but also an office table. 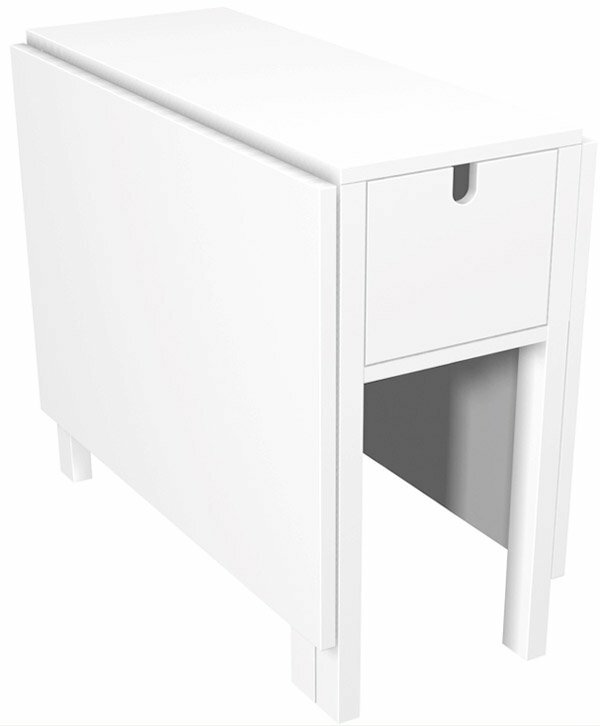 The white color gives it a fresher look and the drawer is great for storage and clean-up. Awesome tables right? The designs are mostly contemporary, but because they are super cool, we can practically use them whatever the archetype you have for your house or your dining spaces in general. 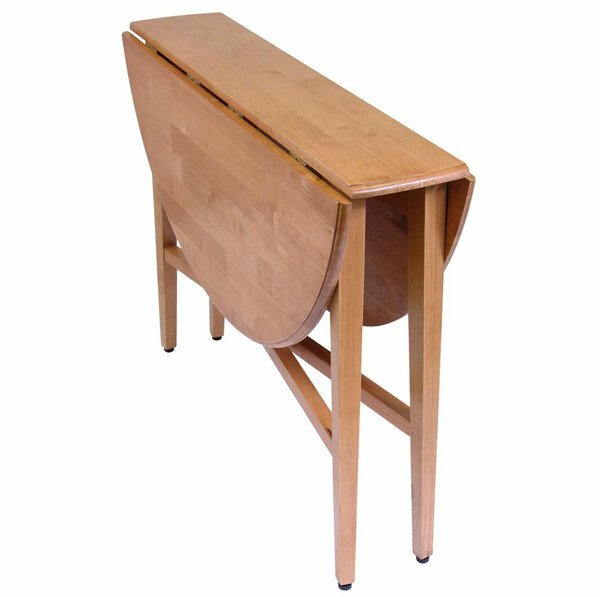 You can choose drop tables that folds on one side or you can get the ones that fold on both sides – take your pick with the 15 Incredible Drop Leaf Folding Tables. 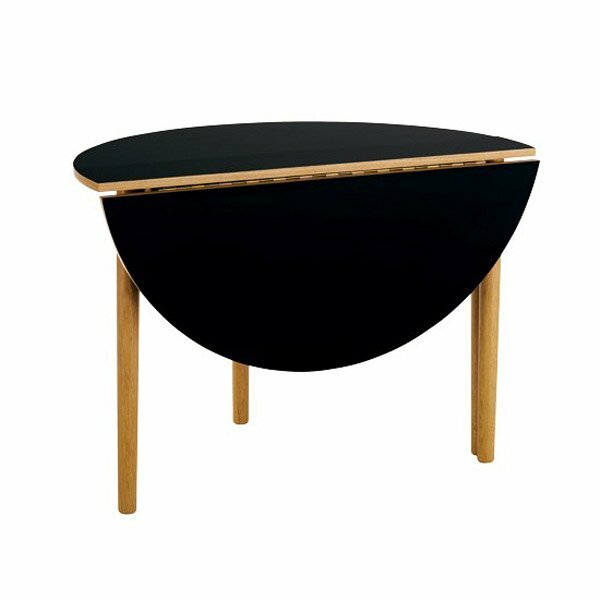 Also, for more table inspiration, check out our list about the Unique Designs of 15 Round Oak Coffee Tables. More to come on Home Design Lover!